On Friday evening, I received an email blast from Interfaith Worker Justice. It’s an email list I’d been on since 2011 and the protests at the State Capitol in Madison. Back then, I offered Grace’s hospitality to people of faith and somehow, my name was added to Interfaith Worker Justice email list. I’d always meant to unsubscribe because as important as the issues they raise are, my energy, time, and passion are focused in other directions. On Friday, however, the issue wasn’t the minimum wage but the events at General Theological School that began with the firing of 8 faculty, a decision that was affirmed at the Board of Trustees meeting this past week. As I read the email I felt the shame rising in myself to know that once again the leadership of the Episcopal Church seemed to be acting immorally, unpastorally, and in ways antithetical to the Good News of Jesus Christ. In spite of my shame and embarrassment, I recognized the irony of the appeal to the Presiding Bishop in the petition that the email highlighted. The PB had been on campus in the days after the initial firing of the faculty (taught one of the classes as a “replacement) and is an ex officio board member. Others, most notably Crusty Old Dean and AKM Adam have laid out the labor issues at stake and the offense that that the Board of Trustees is acting in ways that General Convention has denounced (or would denounce) if it were occurring in corporate America or perhaps in foreign lands. As a former academic myself, and as a former short-term faculty member of an Episcopal seminary, I was always uncomfortable with the effort to view relations between faculties and administrations in light of labor law. I always thought (and still do) that the labor model distorts what ought to be happening in colleges, universities, and seminaries, especially when those institutions claim to be church-related. I know the necessity of it, but I think it diminishes the mission, purpose, and quality of relationships all around. In fact, what bothers me most about the situation at GTS is not so much the labor issues at stake. It is not even the claim made by many that the actions of the Board of Trustees go against church canons and the gospel (although they seem to). What bothers me most is that this seems to me to be an extension of a trend we have been witnessing for the last decade in the Episcopal Church–the insistence by the leadership to seek recourse to legal remedy, to defend prerogatives and property against every claim, to pursue a scorched-earth policy in protection of the institution, and to offer reconciliation after the trials are over (but while the wounds are still raw). What’s happening at GTS is not unlike what has happened to bishops (remember the PB declaring that the Bishop of South Carolina had abandoned communion? ), to dioceses, and now to a seminary. 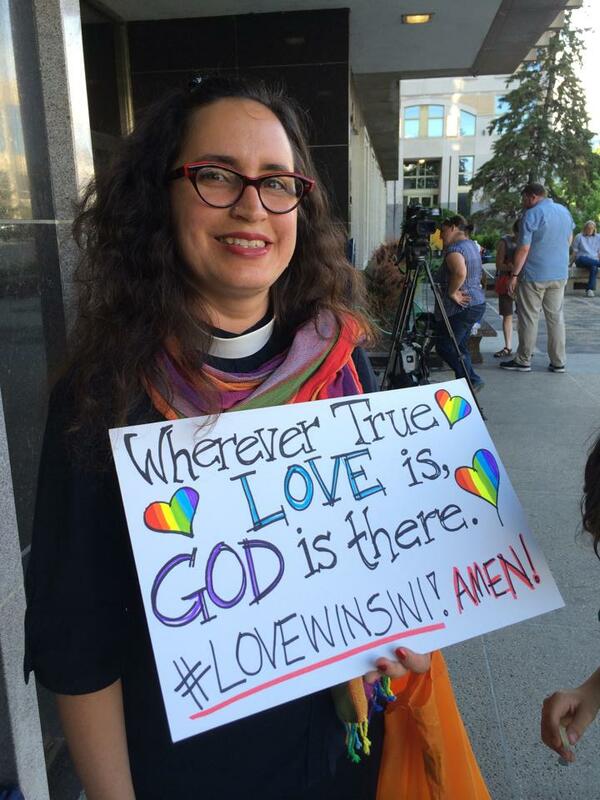 A petition that appeals the Presiding Bishop to take action? It’s doubly ironic that all this is occurring as we’re still digesting the recent report from the Taskforce on Reimagining the Episcopal Church with its recommendations for a stronger “CEO” as Presiding Bishop, a smaller Executive Council, and contract workers as church-wide staff. We are eyewitnesses to the restructuring of General Theological Seminary with its evisceration of faculty governance and lasting damage to a community of formation. I have advocated strongly for the need to reform the structures of the church, but if what emerges is less shared governance and more centralized power, count me among the resistance. What I fear most is that over the last decade we have sown the wind, and now we are reaping the whirlwind. it is my hope that we may yet find a way to work within the structure provided by this resolution to continue to press forward toward that which we still believe must be done, and that is to reinstate the eight faculty in full, and to do that this week. Bishop Breidenthal (Diocese of Southern Ohio) has also spoken publicly in defense of the fired GTS faculty.